If you run a nascent company, transferring many of its operations to the public cloud has obvious appeal. Through tasking a cloud service provider with facilitating many of your company’s crucial operations, you can trim your firm’s upfront expenses and improve its flexibility. This situation can help to level the playing field between you and larger organisations. However, as your business continues to grow, you might increasingly recognise benefits of bringing more of your cloud in-house to form a hybrid cloud solution. When should you make that change? A hybrid cloud solution is an integrated cloud service combining both private and public cloud solutions and allowing date and applications to be shared between them. This allows a business to benefit from the scalability of the public cloud while keeping sensitive information on-premises and protected. These days, a young business can not only merely benefit from the cloud but also practically depend on it. Forrester Research analyst James Staten has stated that “start-ups that offer software or online services have to prove their business model works in the cloud before they are likely to get any venture capital funding these days”, as quoted by TechTarget. Consequently, for entrepreneurs seeking to form such start-ups, “their business starts in the cloud”, Staten added. Your start-up might have many target customers who operate in the cloud, making it a wise choice of platform through which to foster connections with these people. Another advantage of treating the cloud as a launch pad, so to say, for your company is that the ongoing financial savings can start as soon as the company itself forms. According to 52% of start-ups responding to a survey cited by TechTarget, on-premises IT resources would have been out of their financial reach at the time that these start-ups were to launch. If you have run many other companies in the past, you might be old enough to remember when launching a company would incur a six- or seven-figure sum just for IT equipment. With the likes of servers and other on-site equipment perhaps outside your budget for now, you might wonder how incorporating elements of private cloud further down the line could actually bode well. In this article, we have already allowed a few flickers of light to fall on some of the corporate benefits of public cloud. Another benefit worth adding to the list is that, whereas traditional IT equipment can take weeks or months to be deployed, the same services can be switched on or off with just a few mouse clicks when those services are on offer through the cloud. This immediacy lends a degree of flexibility befitting start-ups, given their common dynamicity. If your company struggles to get a particular service properly working through the cloud, it can easily turn off that service and quickly switch to a new one. This would not be practically possible with traditional IT services like colocation, hosting and outsourcing, which entail comparatively rigid long-term commitments. However, this isn’t necessarily a sign that you should hold off implementing such on-site services indefinitely. When you stay entirely in the public cloud, you rely on your cloud vendor consistently preserving the network’s availability. This would become an increasingly risky position for your company as it expands its operations and grows its customer base, as outages are not uncommon in the cloud industry. When outages do happen, the vendors tend to be better-protected than their customers due to service-level agreements that often disadvantage customers. Your start-up might not feel truly protected against the risk of cloud outages unless it seeks legal help at further cost. Another problem is that, as your company grows, arguably the most significant advantage of sticking strictly to public cloud, its cost, can – ironically – become one of its biggest drawbacks. This is because public cloud services use pay-per-use models that, as a start-up grows in computer-intensity, can result in a public cloud system becoming more expensive than an on-premises alternative. Therefore, the attraction of strengthening the public elements of your start-up’s current cloud solution could soon grow. 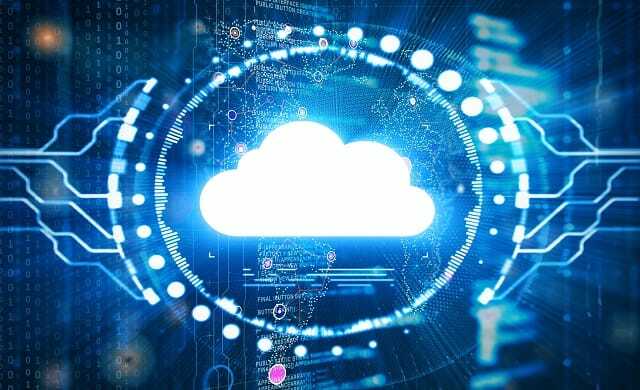 Indeed, by implementing a hybrid system, you could unleash much efficiency from the cloud without losing control of sensitive data which must be protected with relatively strict security or compliance, says ITProPortal. Nonetheless, you should still tread carefully even if you have reached a point where transitioning to hybrid cloud looks viable. It’s actually likely to be a complex journey, which is why you could benefit from a company like Hewlett Packard Enterprises helping to guide you through it. The firm’s website sheds light on how HPE services could ease your transformation journey.